PNC Park is the site of the matchup between the Cincinnati Reds and the Pittsburgh Pirates on Sunday, September 3, 2017. The probable starting pitchers are Sal Romano for the Reds and Trevor Williams for the Pirates. Cincinnati opens at +123 while Pittsburgh opens at -133. The Reds have a 74-57-4 over/under record and a 69-66-0 run line mark. The Pirates are 69-66-0 against the run line and have a 56-74-5 over/under record. The Reds have a 58-77 overall record this season. Starting pitcher Sal Romano has a 4-5 record with an earned run average of 4.91 and a WHIP of 1.52. He has 49 strikeouts over his 58.2 innings pitched and he's given up 62 hits. He allows 9.5 hits per 9 innings and he has a FIP of 4.55. The bullpen has an earned run average of 4.55 and they have given up 490 base hits on the year. Teams are hitting .246 against the bullpen and they've struck out 512 hitters and walked 221 batters. As a team, Cincinnati allows 9.3 hits per nine innings while striking out 8.3 batters per nine innings. They are 30th in the league in team earned run average at 5.29. The Reds pitchers collectively have given up 1,232 base hits and 704 earned runs. They have allowed 215 home runs this season, ranking them 1st in the league. Cincinnati as a pitching staff has walked 516 batters and struck out 1,099. They have walked 3.9 men per 9 innings while striking out 8.3 per 9. They have a team WHIP of 1.46 and their FIP as a unit is 5.09. As a team Cincinnati is hitting .255, good for 16th in the league. The Reds hold a .440 team slugging percentage and an on-base percentage of .332, which is good for 11th in baseball. They rank 15th in MLB with 8.7 hits per game. Joey Votto is hitting .312 with an on-base percentage of .449. He has 146 hits this season in 468 at bats with 92 runs batted in. He has a slugging percentage of .592 and an OPS+ of 169. Adam Duvall is hitting .254 this year and he has an on-base percentage of .307. He has totaled 129 hits and he has driven in 91 men in 507 at bats. His OPS+ is 109 while his slugging percentage is at .515. The Reds have 1,175 hits, including 211 doubles and 191 home runs. Cincinnati has walked 485 times so far this season and they have struck out 1,089 times as a unit. They have left 962 men on base and have a team OPS of .772. They score 4.81 runs per contest and have scored a total of 650 runs this year. Pittsburgh has a 63-72 overall mark this year. With an earned run average of 4.37, Trevor Williams has a 5-7 record and a 1.34 WHIP. He has 95 strikeouts over the 127.2 innings he's pitched. He's also given up 127 hits. He allows 9 hits per nine innings and his FIP stands at 4.06. The bullpen has an earned run average of 4.11 and they have given up 447 base hits on the year. Teams are hitting .251 against the Pirates bullpen. Their relievers have struck out 413 batters and walked 170 opposing hitters. As a team, Pittsburgh allows 9.4 hits per nine innings while striking out 7.8 batters per nine innings. They are 13th in the league in team earned run average at 4.37. The Pirates pitchers as a team have surrendered 1,255 base knocks and 587 earned runs this season. They have given up 156 home runs this year, which ranks 23rd in Major League Baseball. Pittsburgh as a staff has walked 409 hitters and struck out 1,042 batters. They give up a walk 3 times per 9 innings while they strike out 7.8 per 9. Their team WHIP is 1.38 while their FIP as a staff is 4.23. As a team, they are batting .244, good for 27th in the league. The Pirates hold a .388 team slugging percentage and an on-base percentage of .320, which is good for 19th in baseball. They rank 26th in MLB with 8.3 hits per contest. Andrew McCutchen comes into this matchup batting .277 with an OBP of .367. He has 131 hits this year along with 74 RBI in 473 AB's. He maintains a slugging percentage of .480 with an OPS+ of 120. Josh Harrison is hitting .273 this season and he has an OBP of .339. He has collected 132 hits in 484 at bats while driving in 47 runs. He has an OPS+ of 101 and a slugging percentage of .434. 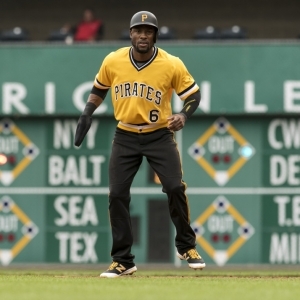 The Pirates as a unit have 1,116 base hits, including 209 doubles and 129 homers. Pittsburgh has walked 444 times this year and they have struck out on 989 occasions. They have had 955 men left on base and have an OPS of .707. They have scored 4.17 runs per game and totaled 563 runs this season.